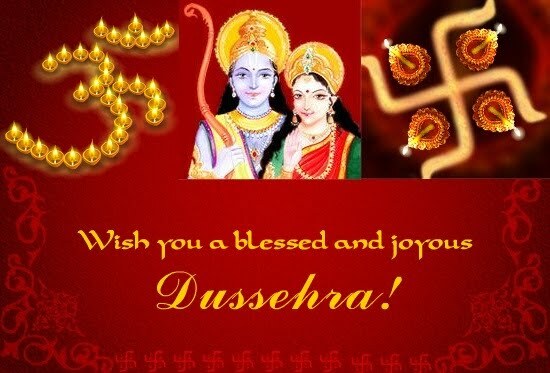 May your troubles burst away like the fireworks and your happiness be multiplied by ten times .Wish you all a blessed and joyous Dussehra. 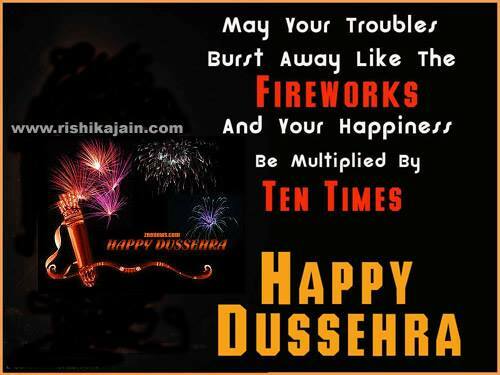 Wish you a blessed and joyous Dussehra !!!! 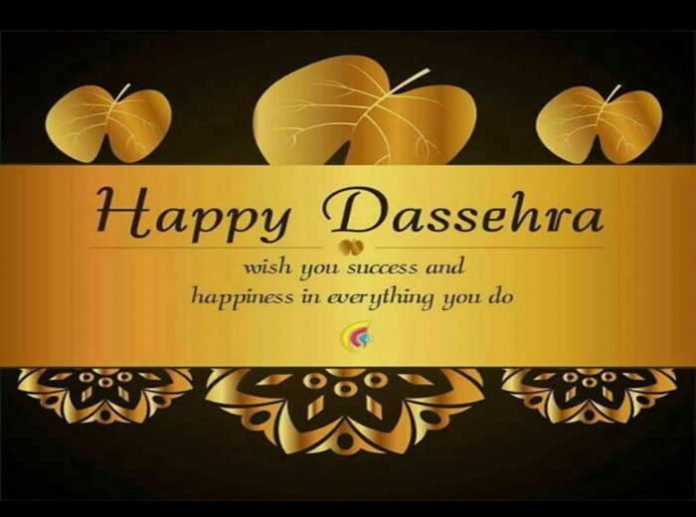 Vijayadashami also known as Dussehra, is one of the most important festivals celebrated in various forms, across India, Nepal and Bangladesh. 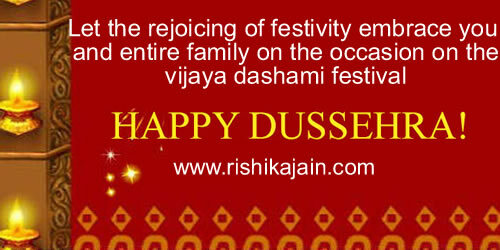 Dasara/ Dussehra is derived from Sanskrit Dasha-hara meaning “remover of bad fate”. It is also referred to as Navratri and Durgotsav. 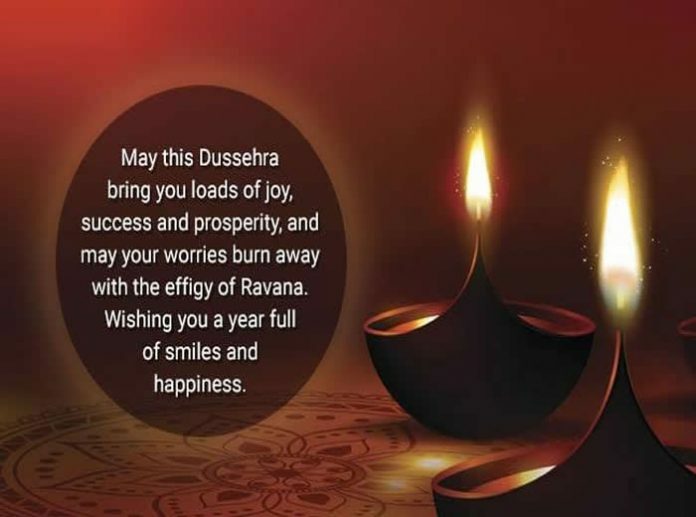 Vijayadashmi or Dusshera is celebrated on the tenth day of the Hindu autumn lunar month of Ashvin, or Ashwayuja which falls in September or October of the Western calendar. The first nine days are celebrated as Maha Navratri and culminates on the tenth day as Dasara. 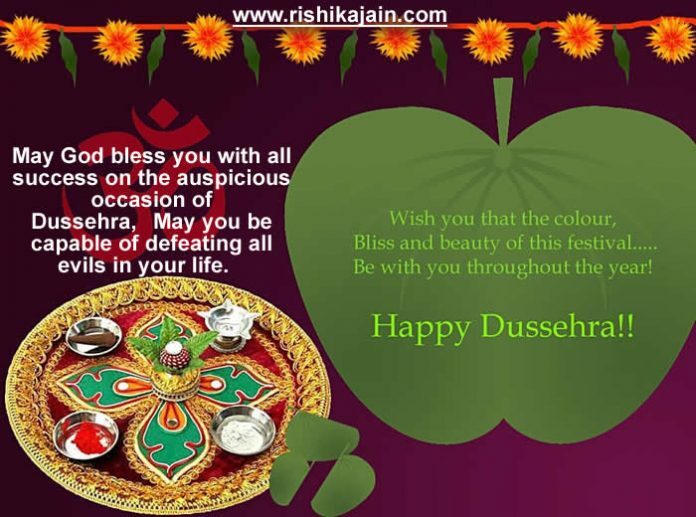 The day marks the victory of Goddess Durga over such demons as Mahishasur. It is a day when devotees worship Goddess Shakti. Shakti represents strength, ability and courage. 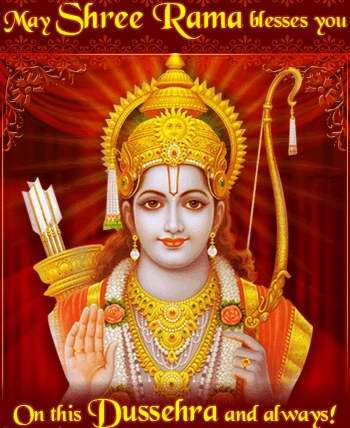 This day also celebrates the victory of Lord Rama over the demon king Ravana.